Panasonic has also announced the Lumix DMC-ZS40 and DMC-ZS35 cameras at CES 2014. The ZS40 (a.k.a. TZ60) comes with an 18.1MP CMOS sensor, a 30x optical zoom lens with advanced hybrid OIS, and an electronic viewfinder. 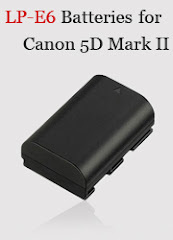 The camera has Full HD video recording function, built-in GPS with GLONASS, and Wi-Fi/NFC connectivity. The ZS35 (TZ55) uses a 16MP sensor, a 20x zoom lens, a 3" 460K-dot LCD tilting up to 180 degrees, and built-in Wi-Fi. Availability of both cameras hasn't been released yet. LAS VEGAS, Jan. 6, 2014 /PRNewswire/ -- Panasonic is proud to introduce a super slim digital compact camera with a LVF (Live View Finder) featuring a powerful 30x optical zoom (35mm equivalent: 24-720mm) for the latest flagship of the popular ZS series. The pocket-sized high performance ZS range has won worldwide popularity for its versatile lens that covers ultra wide-angle to telephoto and high quality image recording capability of both still and video. The new DMC-ZS40 makes significant upgrades especially in functions for more advanced photography such as a Control Ring, RAW compatibility and Focus Peaking. 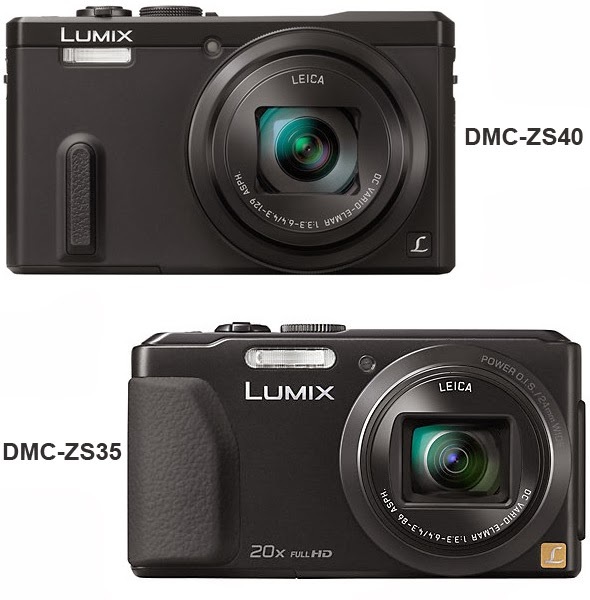 LAS VEGAS, Jan. 6, 2014 /PRNewswire/ -- Panasonic is proud to introduce the new DMC-ZS35 digital compact camera with a powerful 20x optical zoom lens (35mm equivalent: 24-480mm) as a new member of the LUMIX ZS series. With the Wi-Fi® connectivity, users can connect the camera to their smartphone/tablet without a need of cabling or searching for a Wi-Fi® hotspot. In addition, users can use their smartphone/tablet for a secondary monitor of the camera that enables setting focus, zoom, and releasing the shutter remotely. Now it is possible to record video and watching the image live on a smartphone/tablet. With the Instant Transfer function, photos are automatically sent to the designated electronic devices such as smartphone/tablet right after shooting.